Periodontics is the study and treatment of diseases of the gum (non-surgical and surgical) as well as placement and maintenance of dental implants. Deep Cleanings (Scaling & Root Planing). Laser Reduction of Overgrown Gums due to Braces. 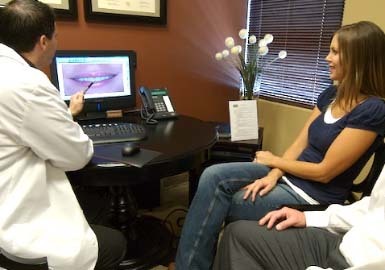 We have a strong working relationship with the best periodontists in Las Vegas if your needs exceed the scope of treatment our office delivers. Proudly serving: Las Vegas, Henderson, North Las Vegas, Paradise, Summerlin, Spring Valley and surrounding areas.